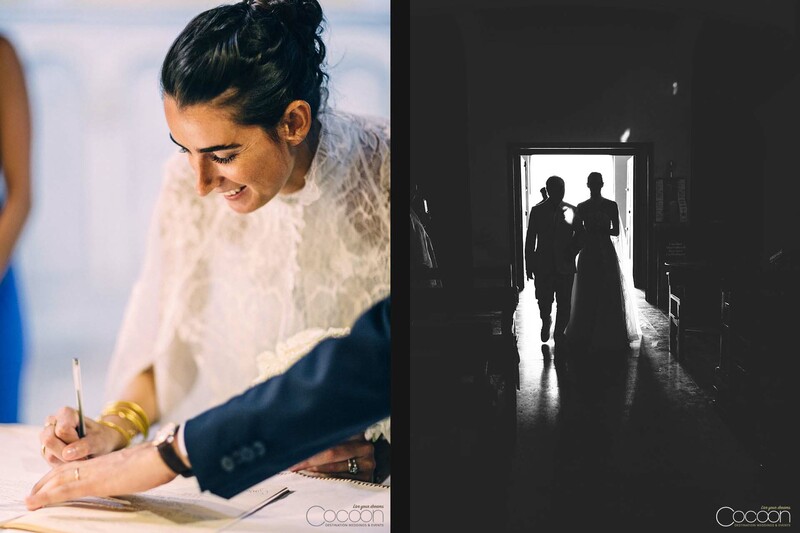 Charlotte and Samuel are a dynamic French couple who reside in Paris. While they were dating, they shared their first weekend trip together in Marrakech, Morocco, just two months after they met. 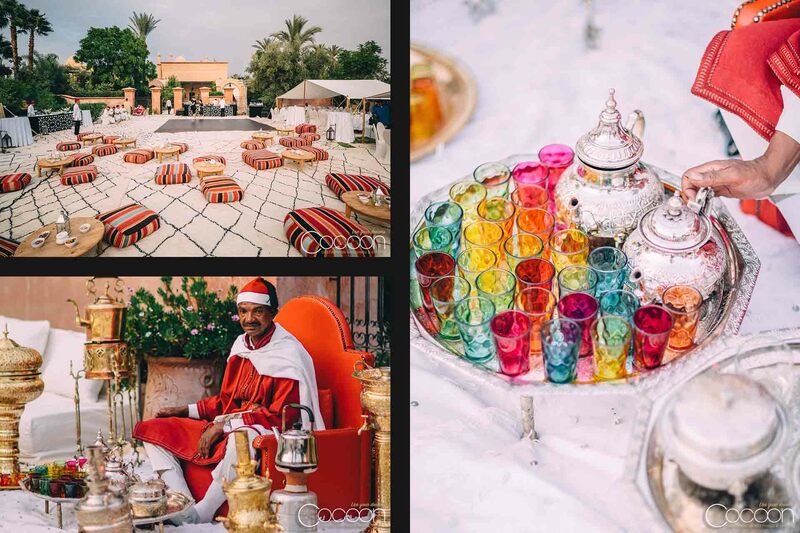 The pair fell in love not only with each other, but with the iconic, vibrant city as well, and knew immediately that it would be the perfect location for their destination wedding: A Bohemian Chic Wedding Marrakech. 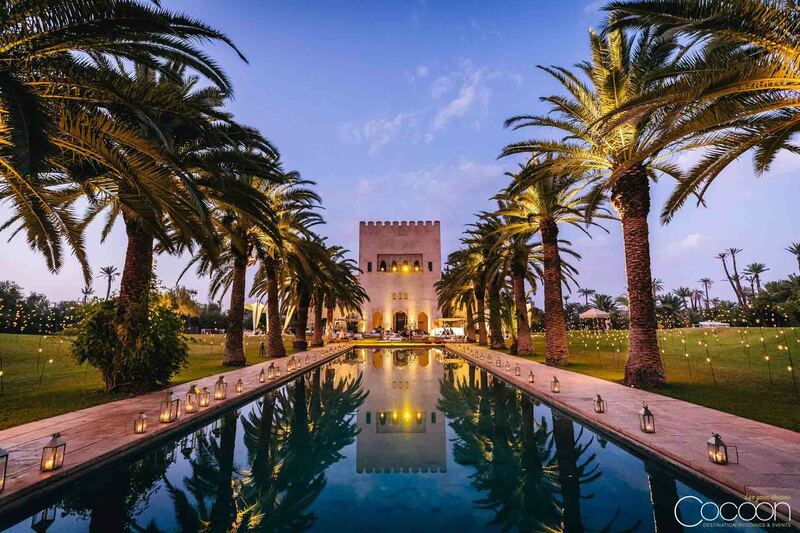 Inspired by the natural ambience of Morocco and the romance of France, they asked us to create a getaway weekend that honored both and revolved around food, drink and fun! 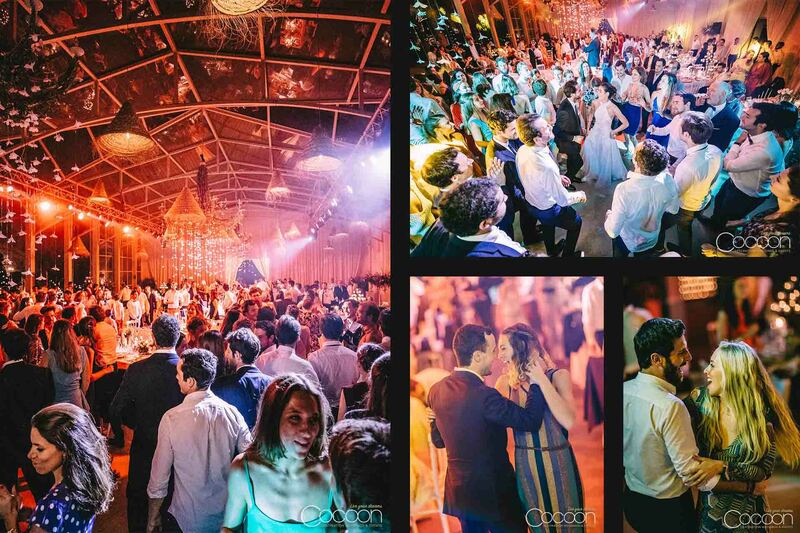 Those being some of our favorite elements of most events, we certainly didn’t hesitate for a moment to accept. 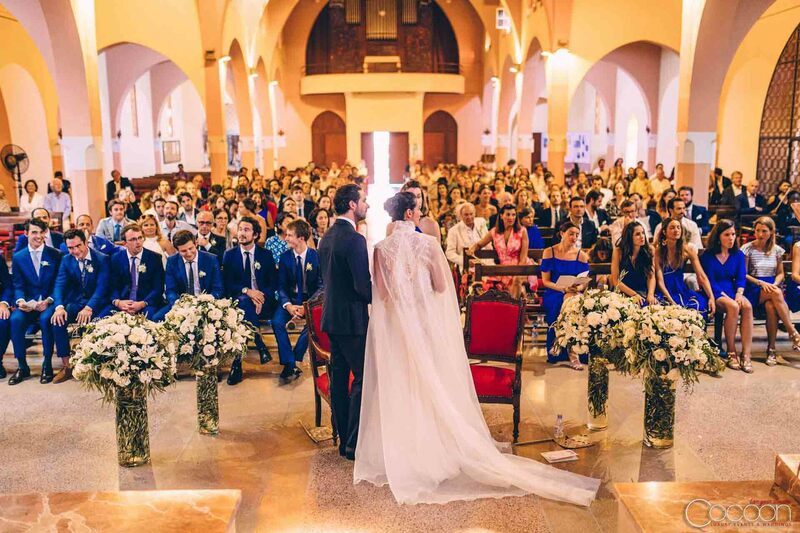 Their October 2017 Marrakech wedding day began with a moving ceremony witnessed by 200 of their dearest friends and family at the historic Church of Marrakech. 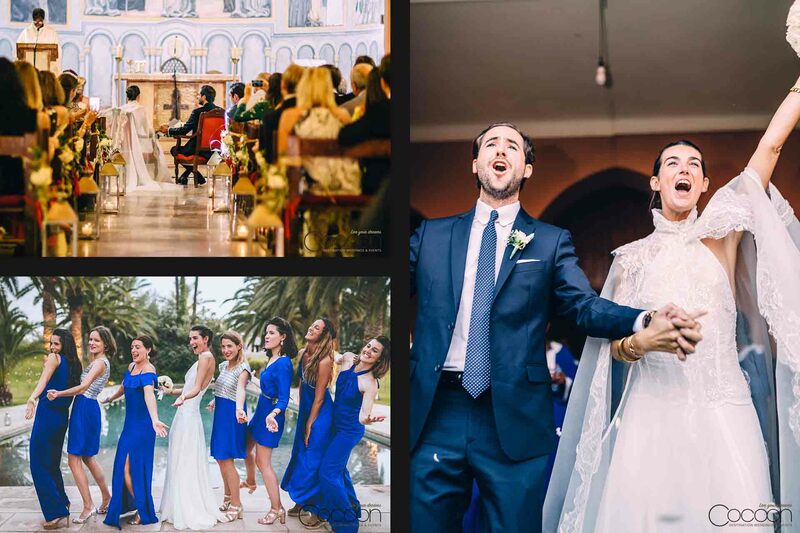 The wedding party wore blue dresses and suits, and were seated nearby during the ceremony to lend support and share in the most special memories of the couple’s spiritual wedding. 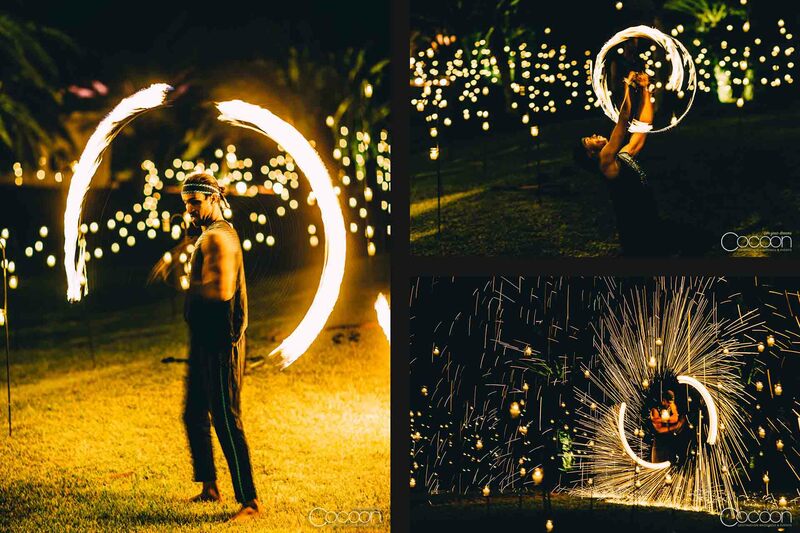 After the ceremony, guests were ushered towards and greeted at the palace venue by 10,000 enchanting candles and a daring performance by professional Moroccan fire-eaters. 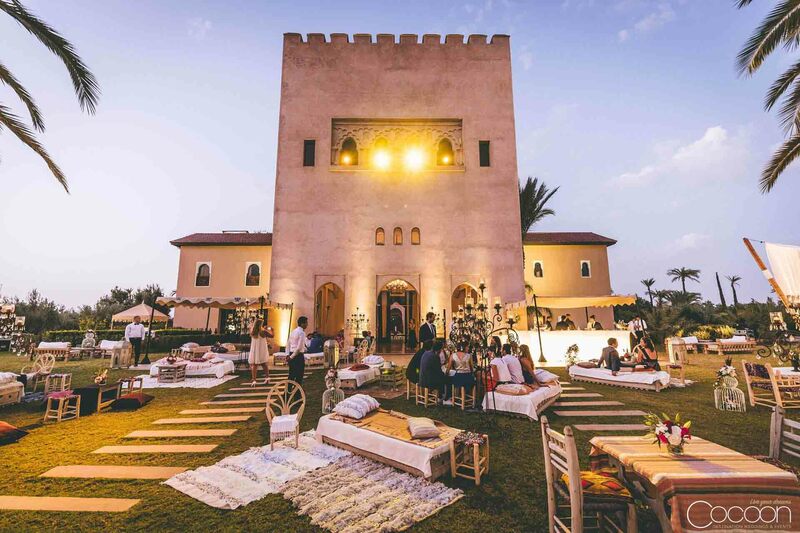 A cozy lounge area awaited guests who thoroughly enjoyed their time relaxing outside the venue amidst the Bohemian Chic Wedding Marrakech theme. 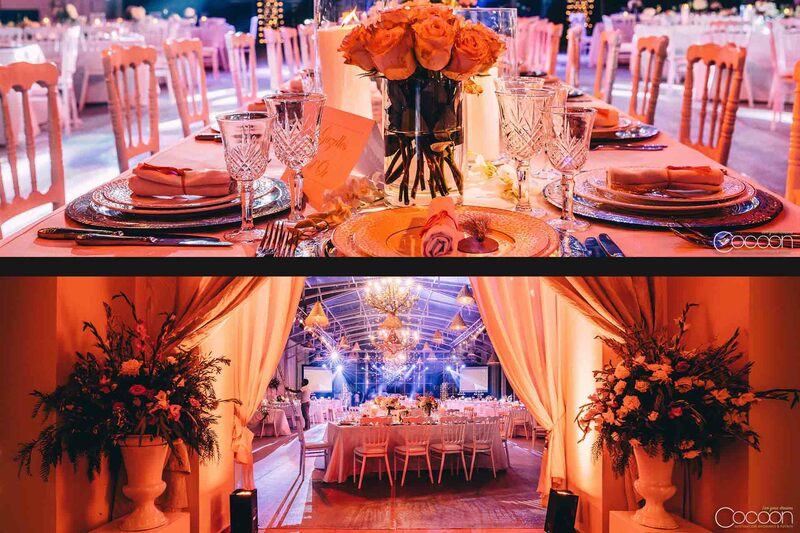 A four-course dinner at Palais Ksar Char Bagh included rose’ champagne and delicate mini-desserts. 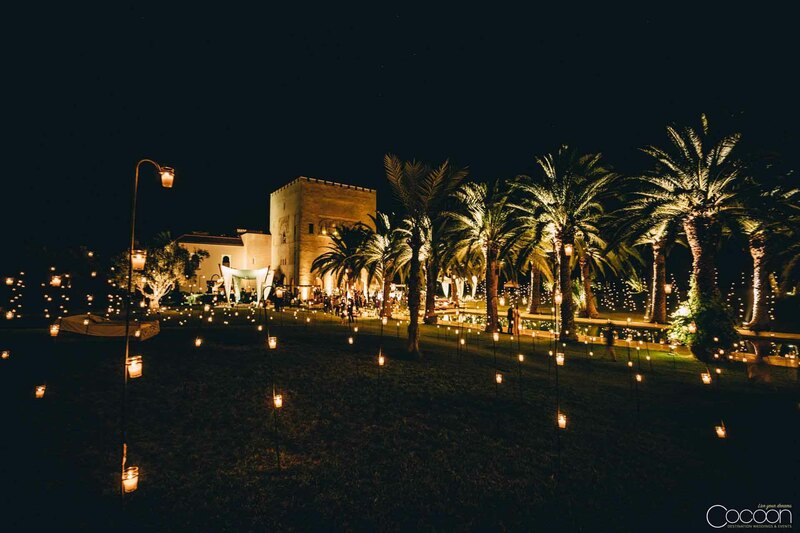 Luminescent strands of blooms and custom gold light fixtures reached down to guest tables from elaborate chandeliers, creating a dream setting for the couple’s magical Marrakech wedding reception. Everyone stayed late to dance the night away. 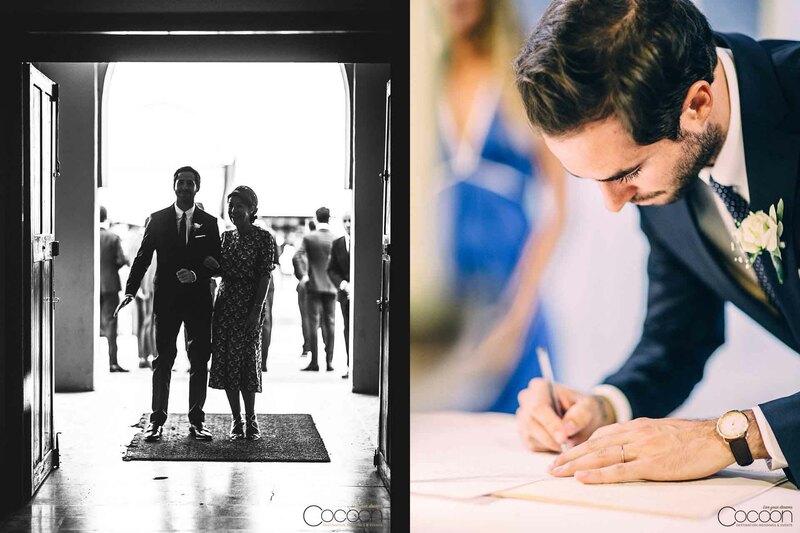 Planning such a glorious wedding for Charlotte and Samuel was a great honor. 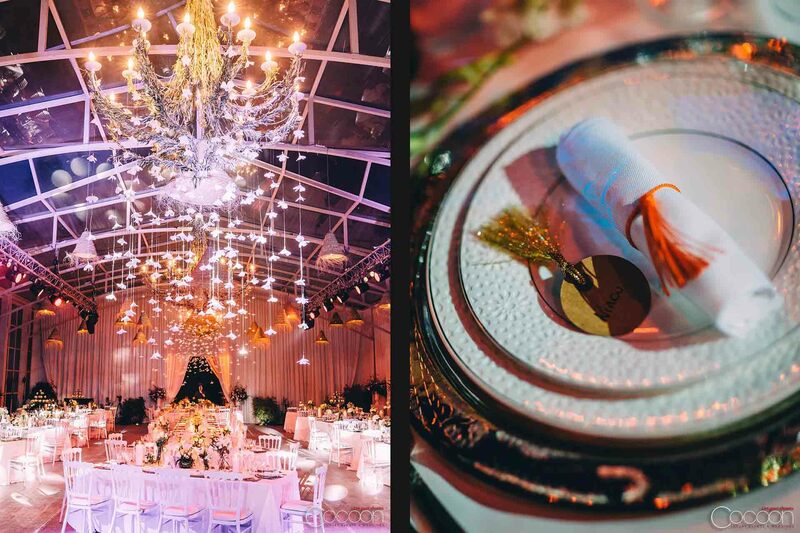 We are gratified that their Bohemian-inspired dreams came true and wish them the happiest of days in the future.